Don’t expect any new weight classes to be introduced to the UFC any time soon. While fighters continue to lobby for additional divisions to be added — including a long running campaign from lightweight contender Kevin Lee, who wants a 165-pound weight class instituted — it’s not likely to happen any time soon if ever. 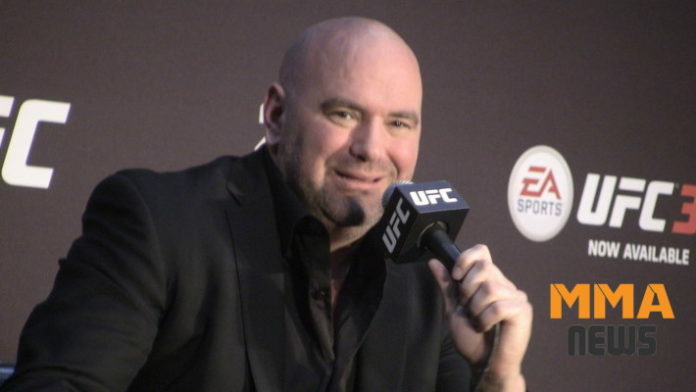 According to UFC president Dana White, he has no desire to add new divisions, especially considering what it would do to dilute the talent pools around the already existing weight classes. “Nope. Haven’t even thought about it,” White answered on Friday when asked about potentially adding a 165-pound or 175-pound weight division. White has spoken out against additional weight classes being added several times previously and it looks like his stance remains the same. Many fighters competing at lightweight have asked about the potential to add a 165-pound division to save them from cutting extreme amounts of weight while also preventing them from going all the way up to 170 pounds to fight at welterweight. Of course the same problems with weight cutting could still affect the welterweight division with fighters from that weight class then opting to attempt to cut five more pounds to compete at 165 pounds. Either way it doesn’t look like any new weight classes will be added as White seems more than content with the status quo in the UFC right now. Do you think the UFC should add new weight classes or does Dana White have it right that it would only dilute the current talent pool? Sound off in the comments and let us know.